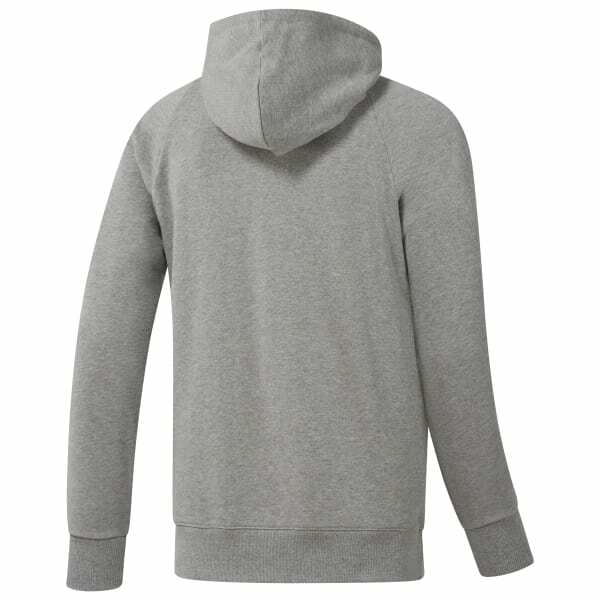 Stay warm and stylish in this cotton French Terry men's sweatshirt. The iconic over-the-head hoodie silhouette is made bold by the disruptive Reebok Classics starcrest graphic at the chest. Button hole eyelets and a kangaroo pocket finish off this classic look.